High entropy, seeking equilibrium. Entropy is a measure of the amount of order or disorder in a system, as well as how reversible a change is. 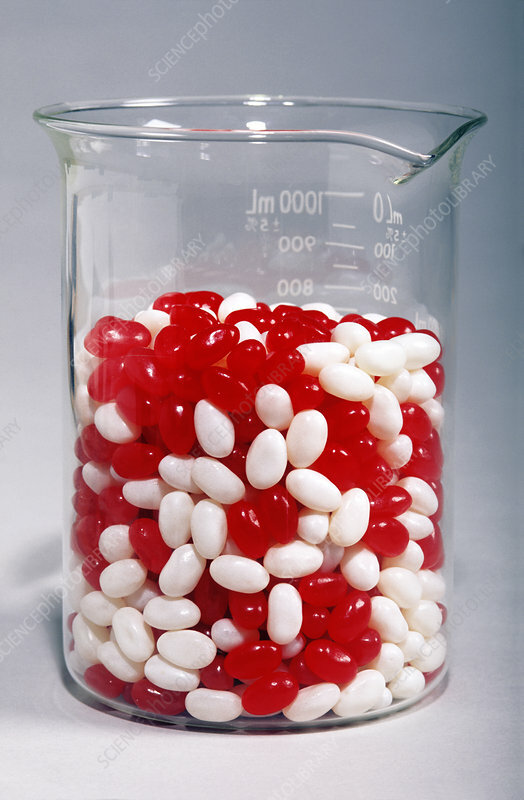 This beaker of jelly beans is showing a high entropy because the coloured jelly beans are mixed up and appear in disorder.